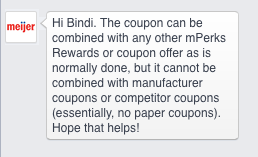 Meijer Shoppers: Check out these HOT mPerk coupons! 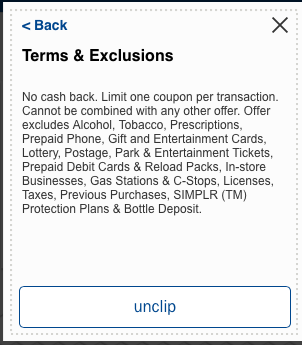 Check your Meijer mPerks accounts! There was a mPerks network outage in February, so they are rewarding all account holders with a $10 off $50 purchase this Friday and Saturday (3/20-3/21) only. Limit 1 per transaction! While scrolling through my account I also had a 20% off an entire home dept purchase! Some people are reporting they have $10 off an entire home dept purchase! There is a 2-day sale on meats and seafood.